Discover reliable London central heating powerflush services when you call us on 020 7060 4770 today. We provide a great service everyday. Click here to see our current online special offers. Your central heating system is responsible for keeping you and your family comfortable throughout the year, and it is important that it remains clean. Regular maintenance can help in that regard, and one service in particular, known as a powerflush will keep your boiler cleaned out and running strong. The boiler generates the heat to get the process started, so keeping it clean and efficient is crucial. Discover honest online reviews of our services when you click here now. Does My System Need Powerflushing? Over time, your boiler can develop a build-up of corrosion, creating a type of sludge that affects the boiler’s efficiency. When this happens, a deep cleaning is in order, and powerflushing is often the most effective choice. The powerflush treatment helps ensure your radiators heat up correctly and reduces the likelihood of cold spots. Powerflushing doesn’t take a lot of time, but it is comprehensive and it is effective. 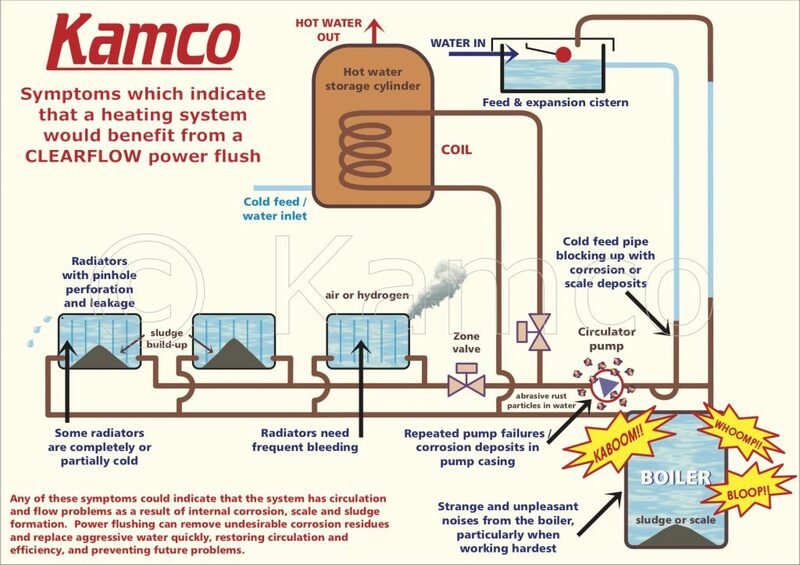 Common signs that powerflushing is necessary include some rooms being colder than others, radiators that are cold at the bottom or need frequent bleeding, and a noisy boiler. Some of the benefits of having a powerflush treatment of your central heating system include lower heating bills, a more reliable heating system, a longer system life and more even heat distribution through the entire property. The benefits will continue on for years. Powerflushing uses a specially engineered machine to force water through your system at high speed but low pressure, so that nothing gets damaged. The water, which contains specially formulated cleaning chemicals, is forced through each radiator individually, as well as through the system as a whole. By the time we’ve finished, any sludge or debris has been purged from your system, and we recharge it with clean water and inhibitor protection. You then have a clean and efficient system with properly working radiators and a boiler that won’t make unexpected sounds. Naturally, a proper powerflushing machine is required to get the job done right, as are engineers that know how to use it. We have extensive powerflushing experience, as well as extensive knowledge of the inner workings of central heating systems. If your central heating system hasn’t been heating your home as quickly or efficiently as it once did, call FD Plumbing & Heating on 020 7060 4770 in London and the surrounding areas. We will send one of our powerflushing experts to clean the system and get it working like new.